A brief interview with Lesley Dolphin from BBC Radio Suffolk in readiness for the opening of Aldeburgh Festival and my sound installation Suffolk Voices on Friday 8th June 2018. The interview begins at 30 minutes and goes for ten minutes or so. The festival is on from 8th-24th June, I hope you can make it! 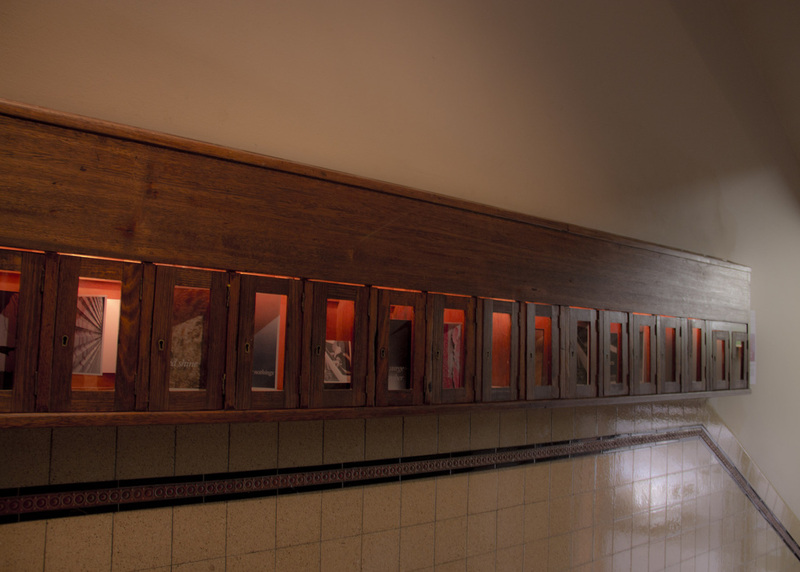 The sound installation, 'Suffolk Voices' provides insight into the changing/dying traditional Suffolk accent and acknowledges the range of accents of current, often long term residents. 'Suffolk Voices' will feature in the Pond Gallery at Snape Maltings, as part of Aldeburgh Festival of Music and the Arts. This project has taken a few years to form and will be installed as a solo show. 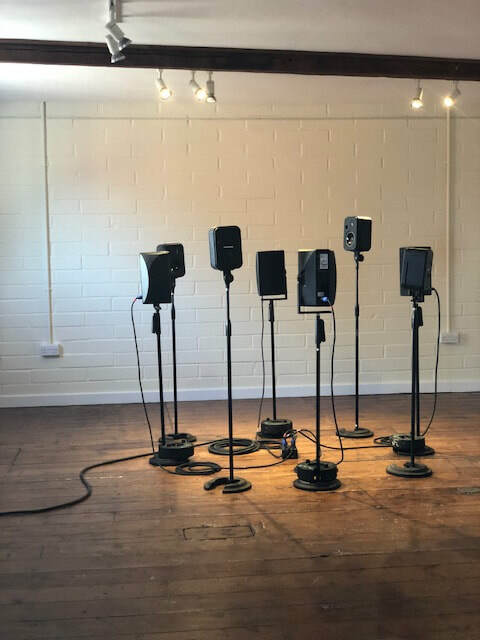 The creation of this sound installation, has had much support from Australian and British communities, and without the support of Snape Maltings for their research and development residency last year it would be a very different project. ​Suffolk Record Office have also been hugely supportive and generous in allowing the original recording of the Suffolk Fisherman, from their oral histories collection, to be used. ​The EADT came to the open afternoon at the culmination of my residency at Snape Maltings and wrote this article. Thanks to EADT, all attendees, supporters, Snape Maltings, family and friends, who made this possible. Samantha Heriz is a contemporary international artist, British by origin (Suffolk) and settled as an Australian in rural Victoria. 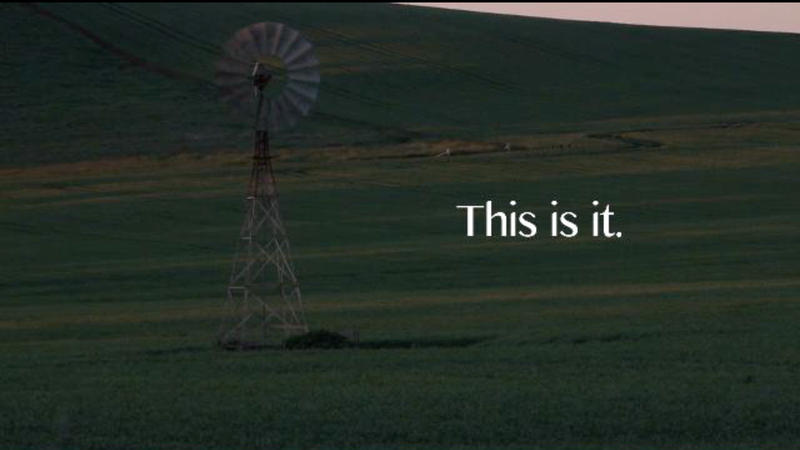 Trans/Muting Suffolk tells the tale of a dying English accent. Today’s Suffolk residents speak with diverse accents and the voice of Suffolk is changing. 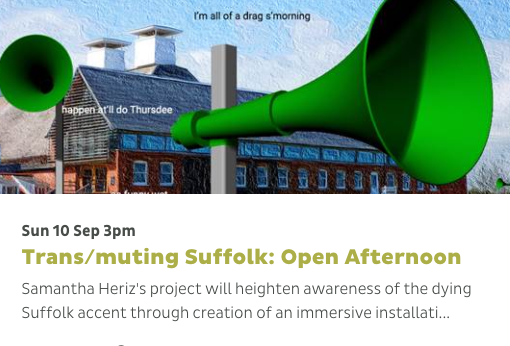 This project will heighten awareness of the dying Suffolk accent through creation of an immersive installation of dialect for the general public. Using the Heritage Lottery digitized collection, Suffolk Voices Restored, Samantha will pair current residents to speak the words of turn of the century voices . The same words, with varying voices, will play through speakers to create an immersive soundscape telling of past and present Suffolk. 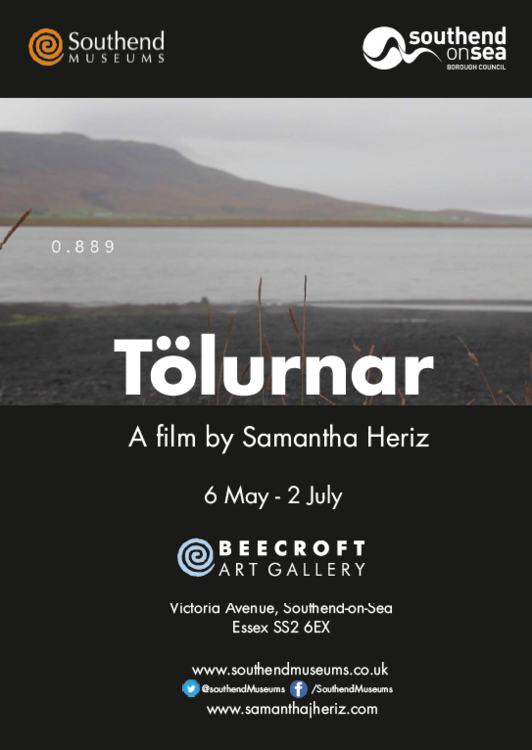 Following her residency, Samantha invites you to come and explore what she has discovered and to share your own stories of the changing Suffolk accent, both from the perspective of those native to the area and those that have moved to the area from elsewhere. Come for a chat, tea and cake, and an opportunity to see what Samantha has created so far. Joining her will be Suffolk entertainer Charlie Haycock, local enthusiast John Murphy, and the Suffolk Fox, Mavis. CROWDFUNDING CAMPAIGN SUCCESSFUL- WE'RE OFF TO SUFFOLK! Thank you so much for all those that supported the campaign. I'm very excited to make the artwork for everyone and to be heading to the UK later this year to start to make this work- An immersive sound installation of accent! 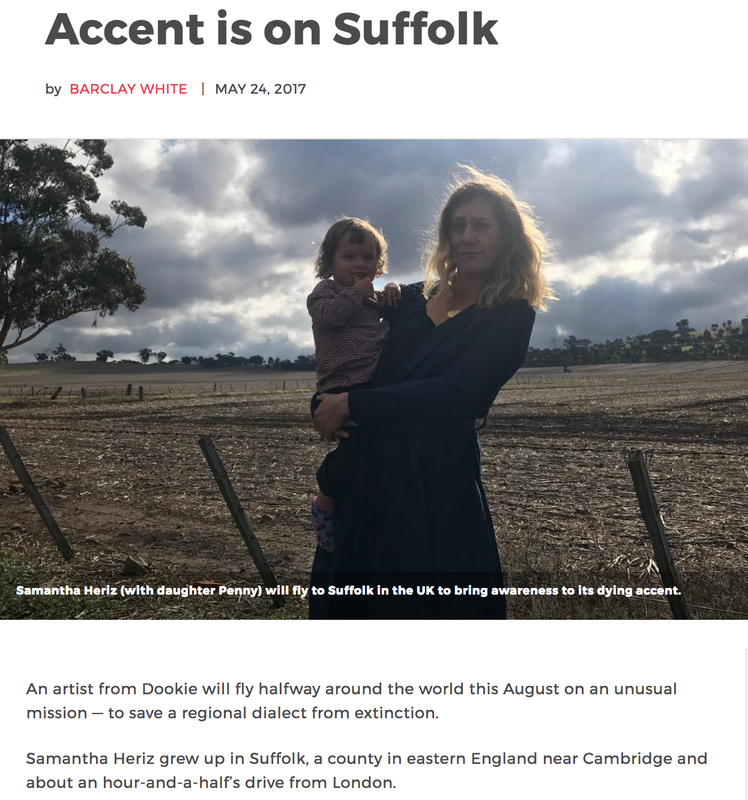 #savethesuffolkaccent ! With two interviews in a week (from different hemispheres), it seems the project is quite interesting to people. I've also had many local people contacting, touched by the project and their own experiences with the loss of the accent. Sign up to hear first when the campaign launches on the home page. Click the link to go to the article. 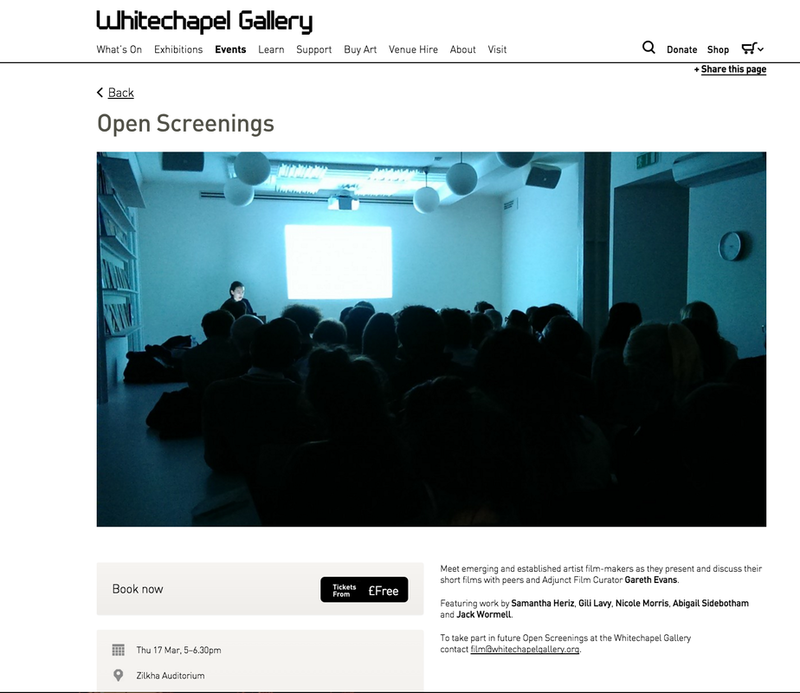 ​I'll be screening my video 'Dawn in a Dark Room' for a limited time here, in line with the online exhibition. AltMFA are taking part in debates and discussions around alternative arts education. A selection of the artists work, plus a specially made AltMFA recipe book, to which I have contributed. Plus my publication, Scores to Life to is available to view. Revelation’s annual selection of experimental films sees a combination of found footage works, visual and aural manipulations, micro-documentaries, and more. Dancing with the limits of cinema and film, exploring the processes of listening to film, the nature of meaning and the potential joys of visual pleasure. 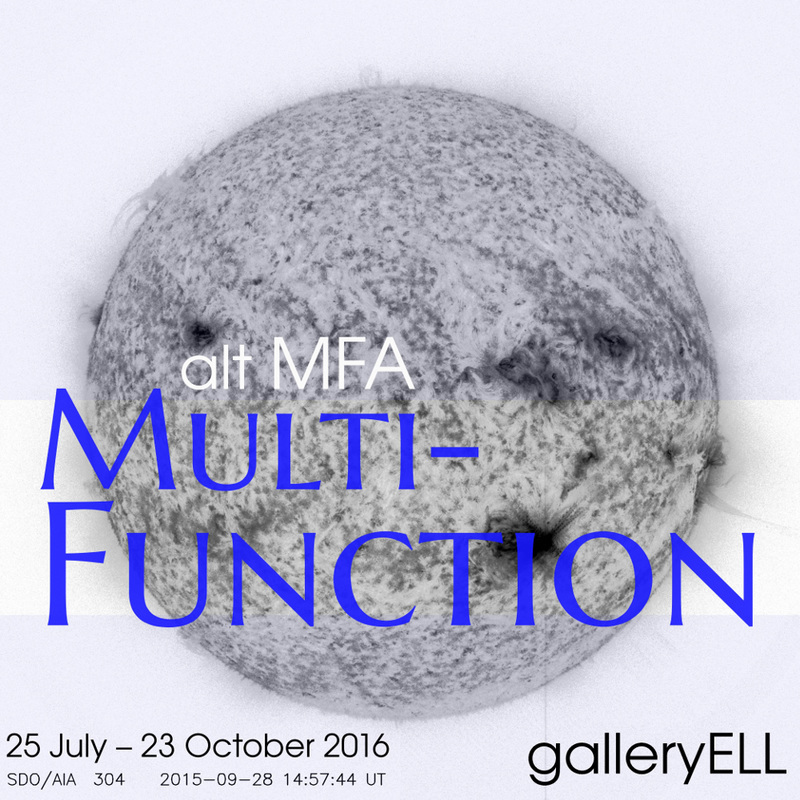 The exhibition presents over 90 works from over 60 artists. Each piece will be available to buy for £25, with all proceeds going towards originalprojects; rolling developments. ​I'm excited to say that my video ​'It will all work out ok' will be premiered at the Revelation Perth International Film Festival in July 2016. 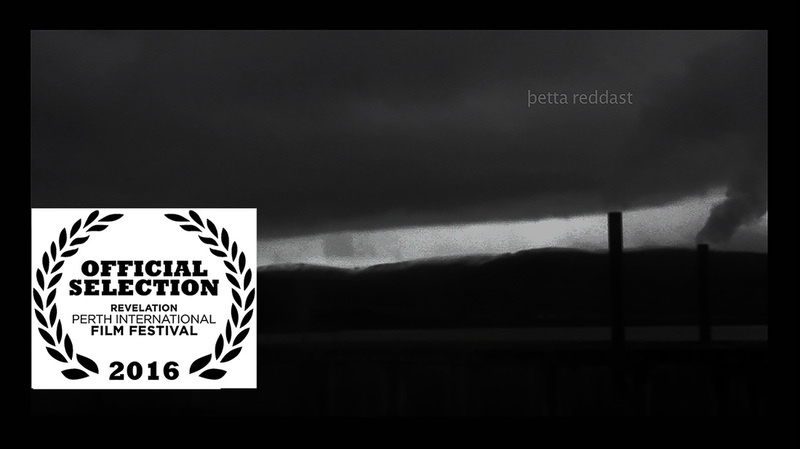 This is a video which I made on residency at Gullkistan in Iceland, and I am very excited to be included in this impressive film festival. 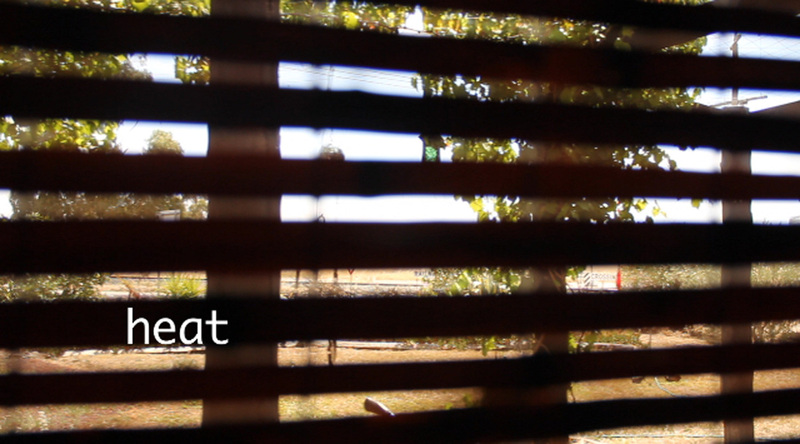 ​Preview on 2nd October: My video 'Think Nothing' will be shown. I have an experimental performance video in this exhibition, from my early days in my Masters of Fine Art -> down in The Vault at The Bank in Eye, Suffolk. 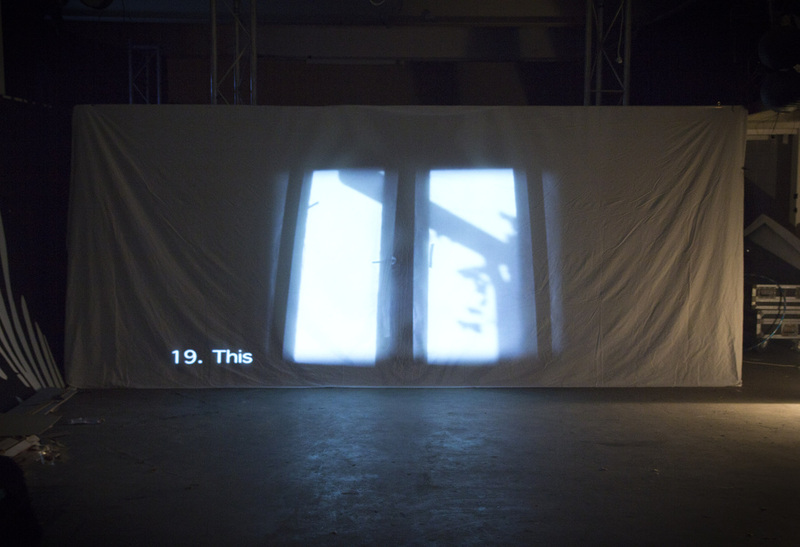 I'll be showing a video as Homage to Chantal Akerman, a great inspiration for my work. A subtitled video of my work with audio in french and editing techniques from her film Je, tu, il, elle. 'Scores to Life to' will be featured at VOLUME 2015 | ANOTHER ART BOOK FAIR | represented by Brunswick Street Gallery, Melbourne |11-13 September at The Gunnery Building, Sydney. 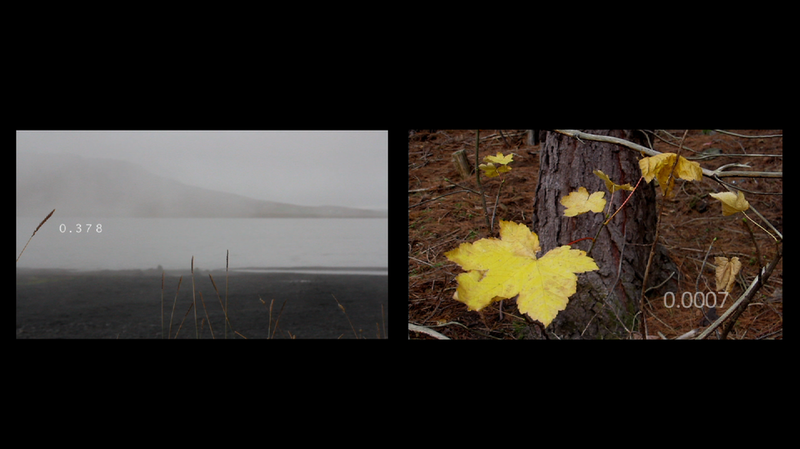 These are screenshots from my video work. I created with Spanish artist Mario Santamaria to produce new work from our highly contrasting video practices. My blog, Scores to Life To, is now archived with all the material and more available through this brilliant book! Containing text and photos, available for preview and for PDF download at an affordable price, or soft and hard copy versions, should you wish. See link to right for information. 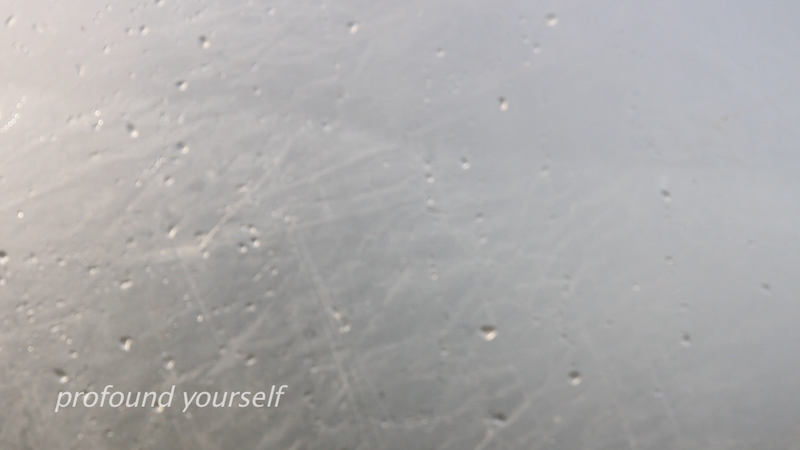 I have made a durational video (Title: Earth Seep) which will feature in the Arts Walk, in the evening. 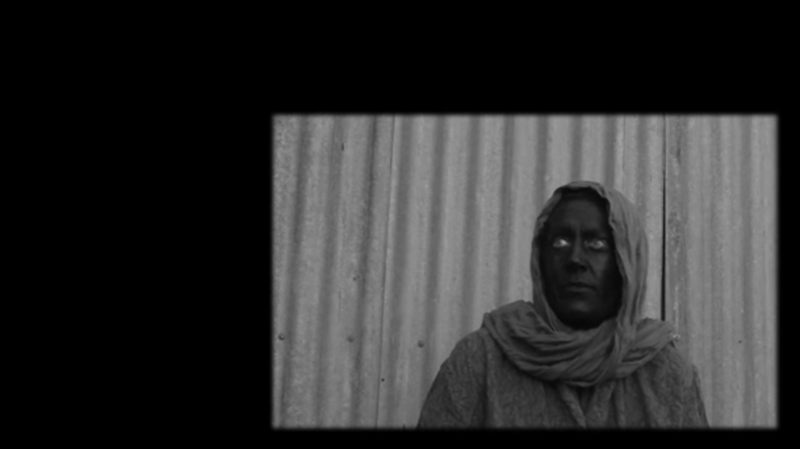 It's a site specific video, taken over many weeks, in the seemingly dry and barren quarry. 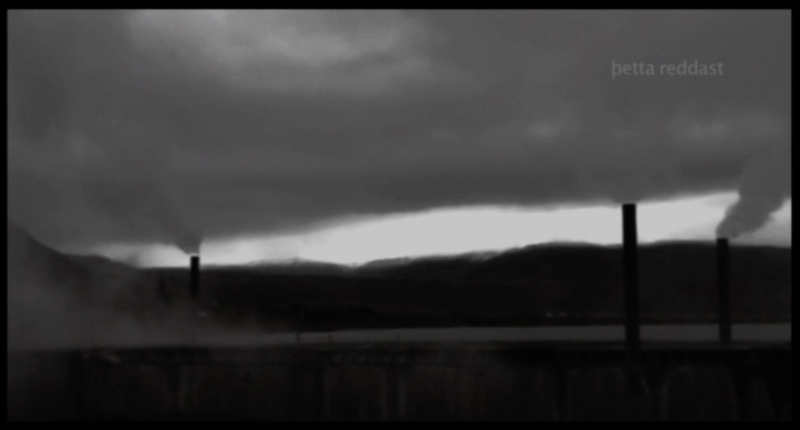 The video can be seen projected onto an abandoned house, on the walk from the main town to the quarry venue. The whole arts event is going to be an amazing day and evening filled with music, art and performance. The video shows a single shot video of sourgrass. The mundane ‘weeds’ move gently in the wind, light changes, but nothing much happens. 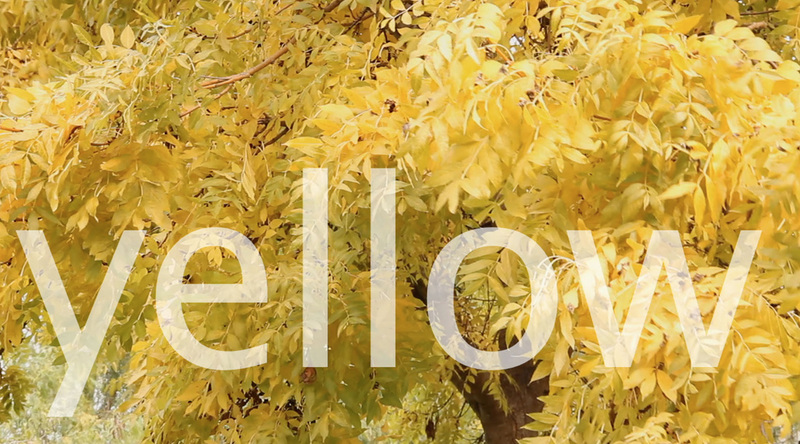 The words and phrases ‘yellow flowers/here are some yellow flowers/these are yellow flowers’ appear randomly and at different locations and in differing styles, rhythms and speeds. Through duration I explore attention to subtle aspects in our environment, ones ability to extend viewing of things usually glanced at. The drawn out focus, meaningless use of language and subtle humour are used vehicles to find an internal, unspoken mental space. I'm very excited to be involved in a collaboration with my old Tamalpa Institute classmate Maria-Theresa Barbist. MT is Austrian and currently residing in California; she has just completed her Masters of Fine Art in New Genres at San Francisco Art Institute. 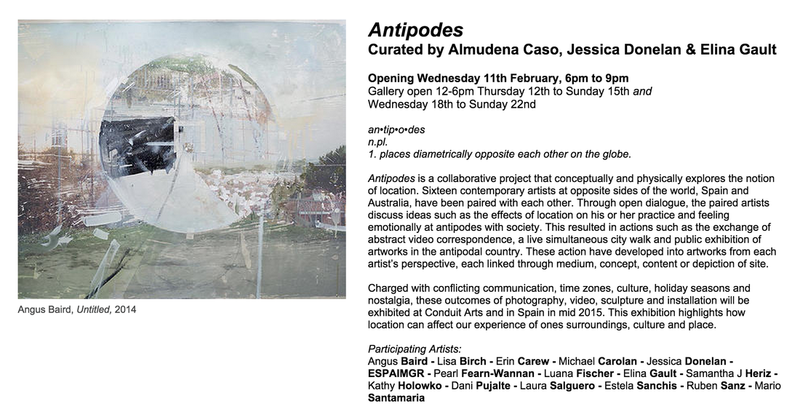 Antipodes is a collaborative project between artists living in Spain and Australia that compares the experience of location from the viewpoint of artists living at opposing sides of the world. Paired artists will have a paralleled aspect of their practice such as medium, concept, desired audience; providing the artists with the possibility to discuss, workshop and respond to each others environment, practice and project. Each artist will produce a work in any medium responding to the theme Antipodes, at the same time artists will support each other as mentors. 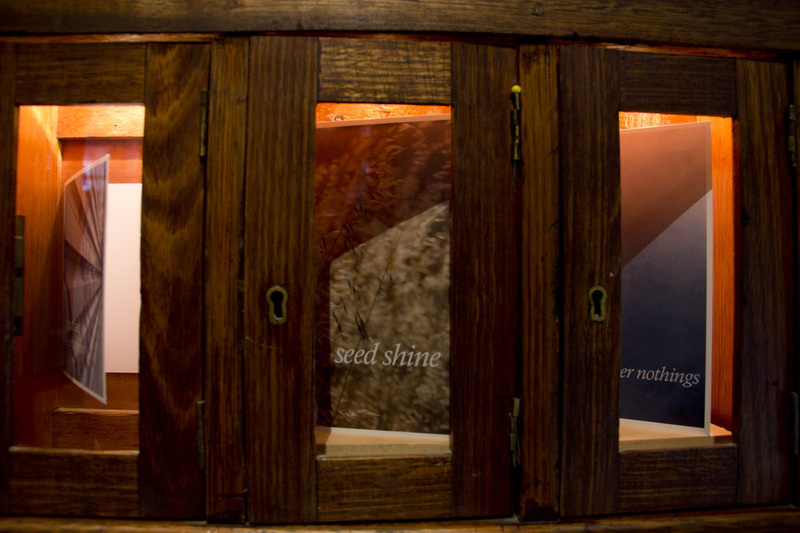 Resulting works are to be included in a touring exhibition in Spain and Australia in early 2014. 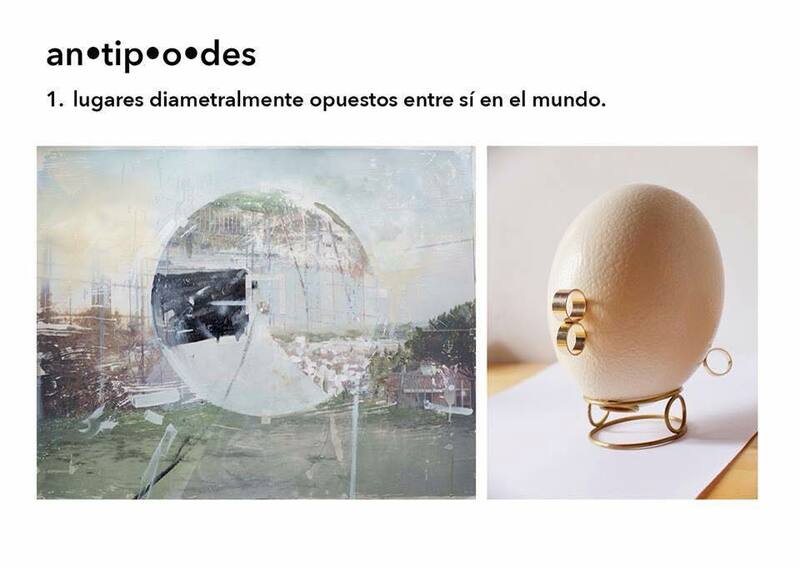 Antipodes project and exhibitions will be co-curated by Almudena Caso, Jessica Donelan and Elina Gault. Christmas show t D11...some great artists and the theme 'Bah Humbug'. Come along to the opening 14th December 5-9 (see homepage for my video contribution). Merry Christmas! Wednesday 27th November 2013, 6-8 pm. 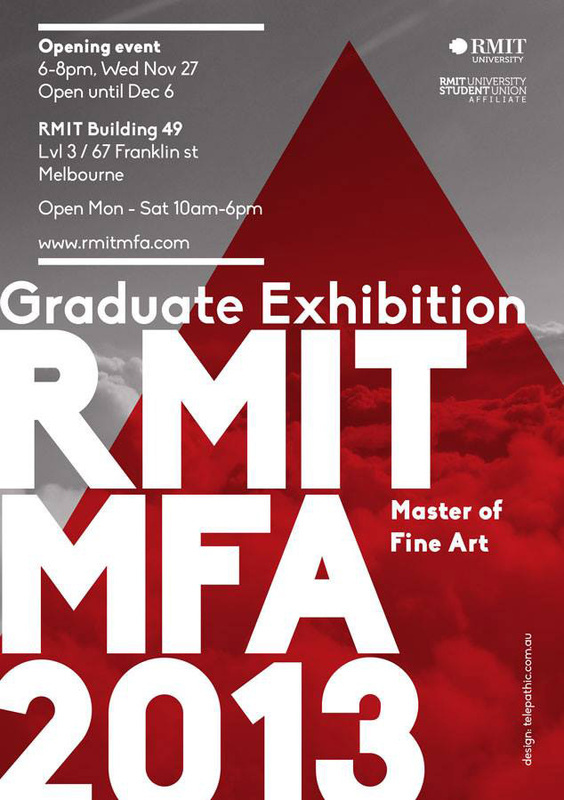 Come along to the Masters in Fine Art Graduate Show opening night! Don't worry if you miss the night, it'll be on until 6th December! THINGS WILL BE A LITTLE QUIET HERE, WHILST I FOCUS ON FINISHING MY MASTERS IN FINE ART... BACK NOVEMBER! "Whether or not you believe in a higher power, God/s in all their multitude of incarnations have had a direct influence on the behaviour and development of humankind from the very beginning. These artists take the idea of God and smash it, worship it, plead with it, defile it and whip it into a kaleidoscopic frenzy of performance, video and live art. 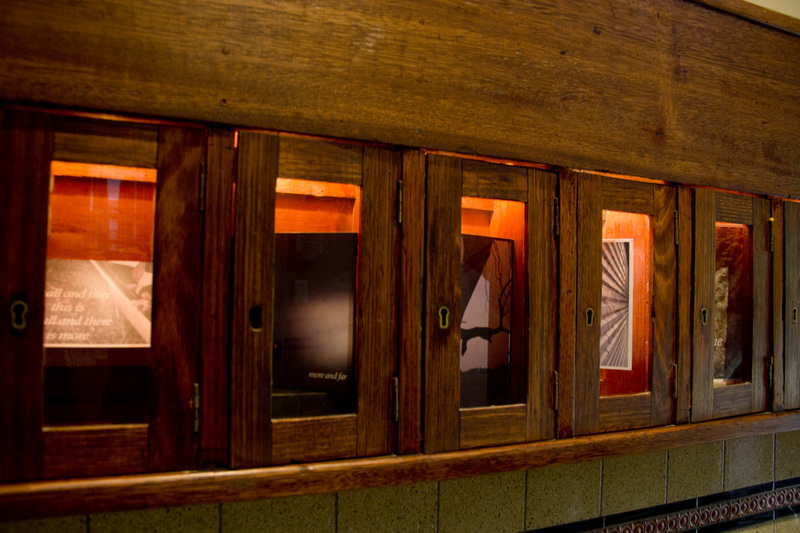 Curated by Phil Soliman, featuring work by Melbourne’s brightest (and darkest) talents." 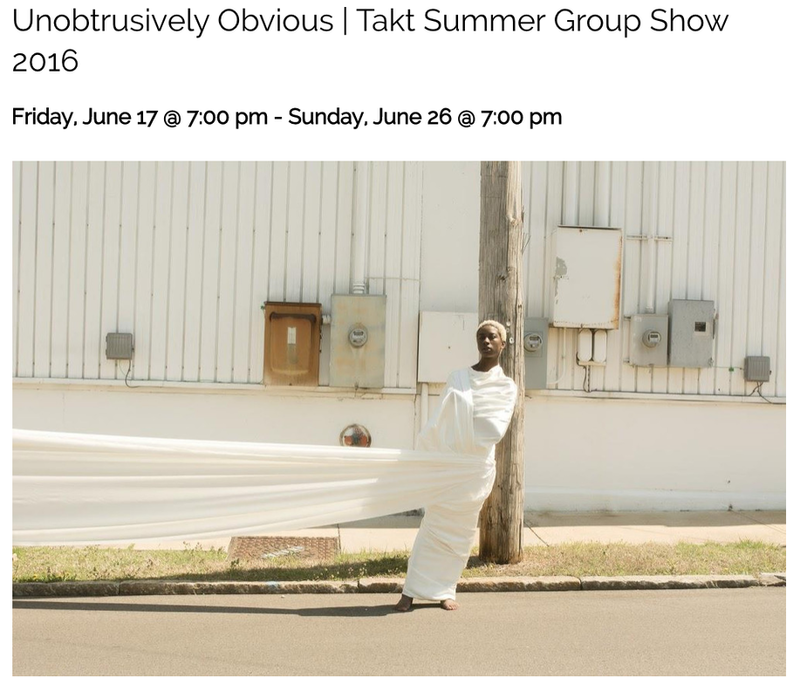 I have a performance video in this exhibition, based upon my Butoh and Anna Halprin training. "Fear has affected mankind and all that we do since the dawn of time, something so ingrained in our subconscious that sometimes it goes completely unnoticed, despite its intensely powerful effects. 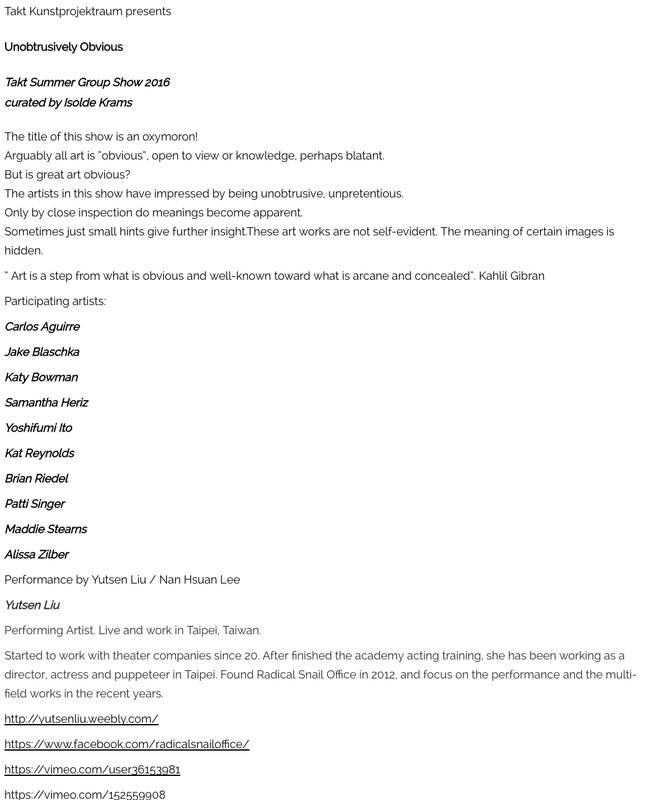 Eleven artists working across painting, sculpture, performance, video and installation, from all stages in their careers, face their worst fears: fear of failure, of the unknown, of social confrontation, of dying, of living, of clowns, of hell, of family, of nothing in particular, just fear in its pure form, stripped of all context". "There is such a thing as people with knowledge about Zen. But that's nothing much to do with Zen. The intersection between Zen and art is interesting. It can be as real and relevant as anything else." Coalesce Collective have a one night only house party art show.... Saturday 10th August 4-6pm... 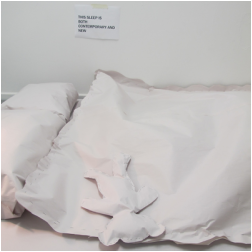 I'll be showing my work 'This Sleep is both Contemporary and New'... come along! June is set to be a busy month with two shows coming up! The first is a group show at RMIT University School of Art Gallery. This show opens on 19th June 2013 5-7 and is a very exciting opportunity. 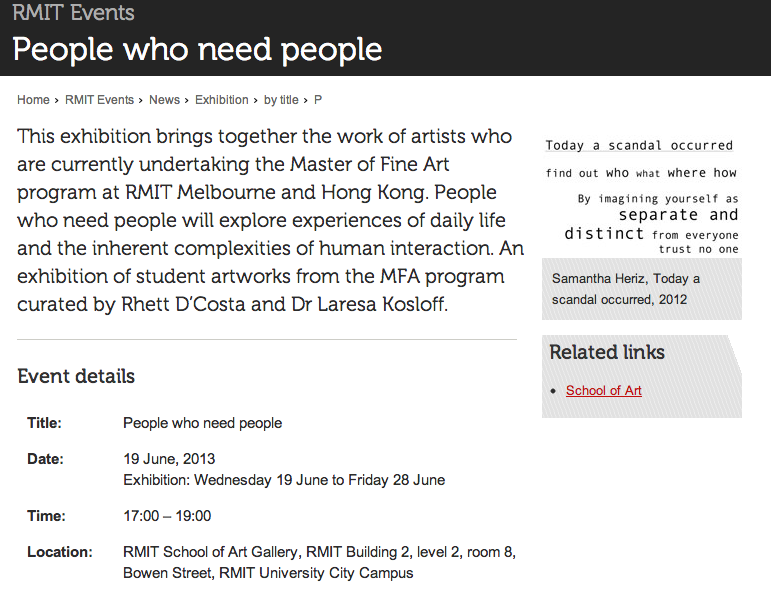 Curated by Dr Laresa Kosloff and Rhett D'Costa, the theme is 'PEOPLE WHO NEED PEOPLE'. 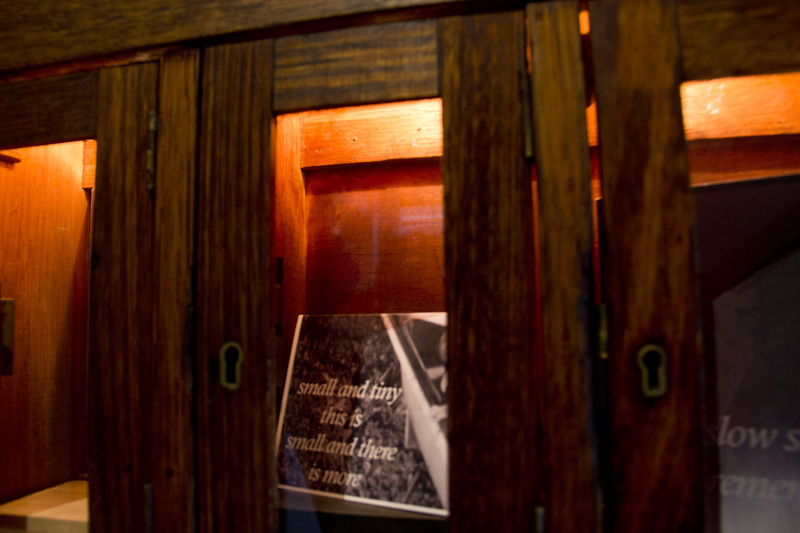 I am showing a participatory word art piece and there are a lot of excellent artists included in the show. It includes 5 artists from Hong Kong and 5 from Melbourne, Australia. The second show in June 2013 is a group show for the collectice Coalesce ARI. 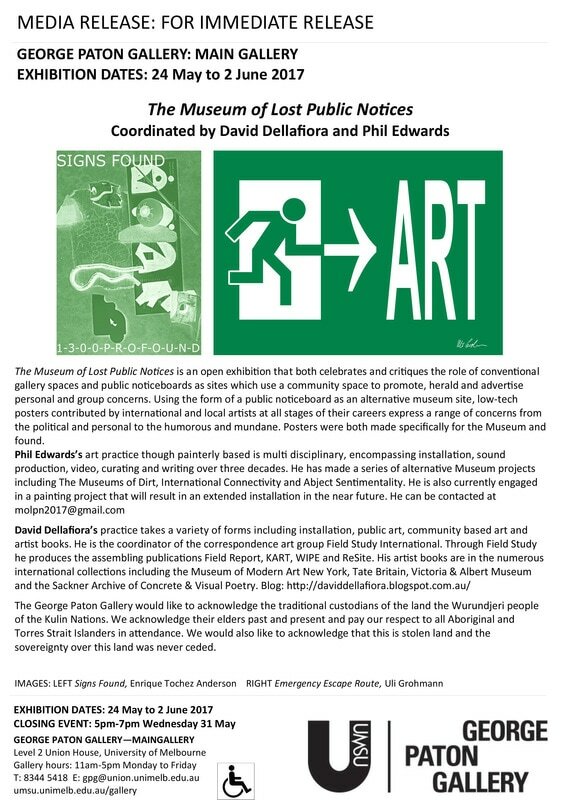 This is really exciting as it involves each artist collaborating with a non-artist. I am working with a very talented Landscape Architect and we are both challenging our thinking to develop a really intriguing piece. Coalesce is an Artist Run Initiative funded by Link at RMIT University Melbourne. 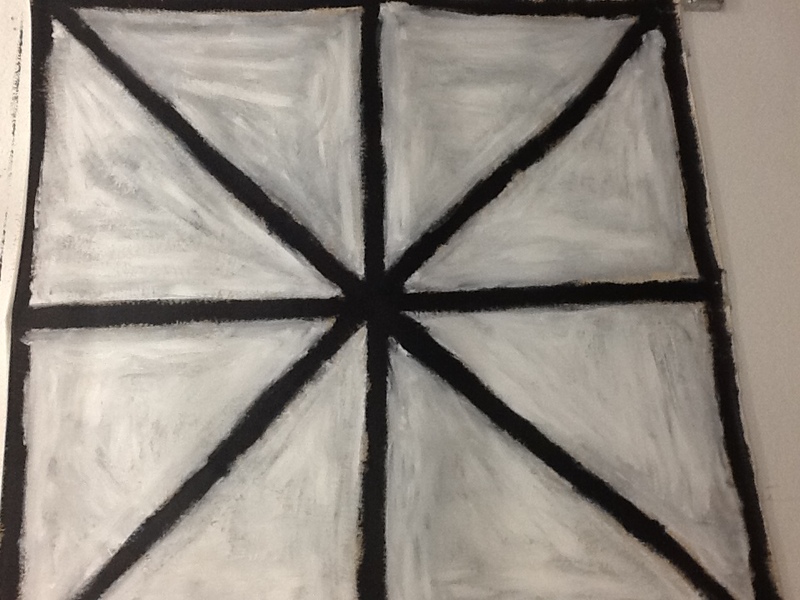 The group supports the innovative art practices of emerging artists. 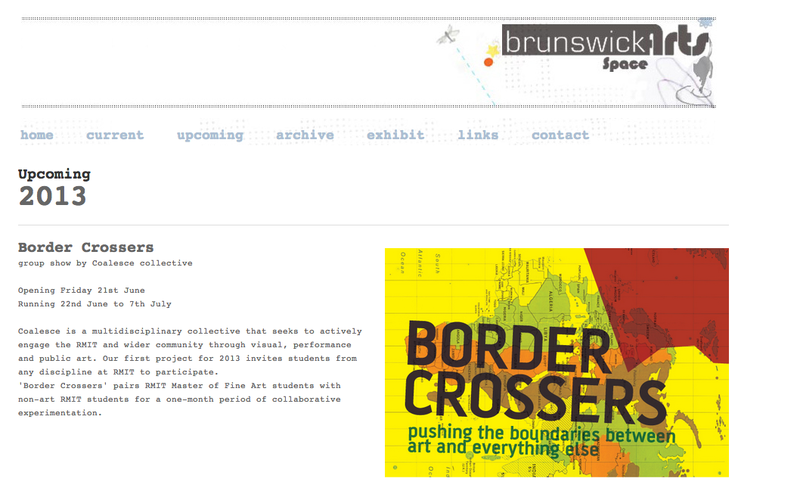 The next show is called Border Crossers and will invite collaboration between artists and non artist students at RMIT.